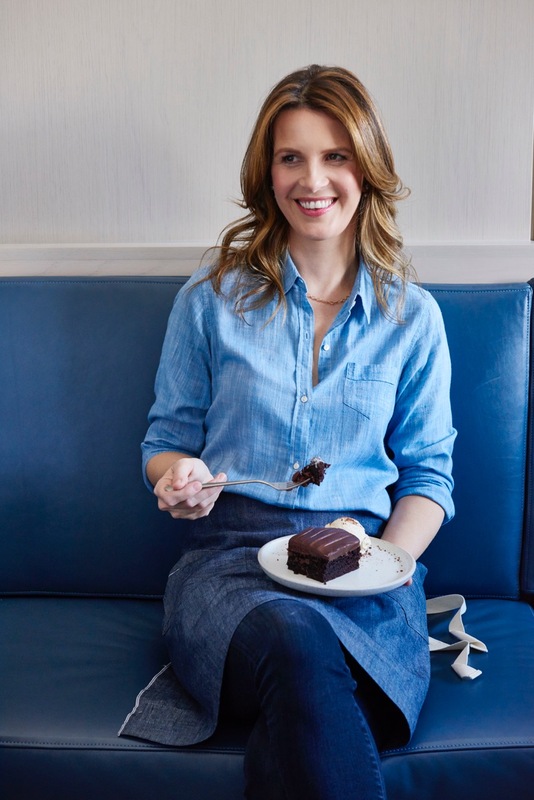 Candace Nelson is a Los Angeles-based food entrepreneur and accomplished pastry chef known for co-founding Sprinkles, the world’s first cupcake bakery, and most recently, Pizzana, a Neo-Neapolitan pizzeria in LA’s Brentwood community. At Sprinkles and Pizzana, Candace's approachable, nostalgia-inducing desserts are on display, reflecting her enterprising vision for sweet and savory ventures that resonate with guests. Candace started baking at a young age while growing up in Southeast Asia where traditional American treats weren’t available. As a result, Candace spent her free time in the kitchen, making cupcakes, brownies and chocolate chip cookies alongside her mother. Baking was a way for their family to spend time together while creating a feeling of being at home regardless of their location. While Candace initially pursued a career in investment banking, following the dot-com burst she shifted gears to attend pastry school in San Francisco and reignited her childhood love for baking. Combining her business acumen with her passion for perfecting classic desserts, Candace, along with her husband Charles, founded Sprinkles cupcakes in 2005 in Beverly Hills, California. Sprinkles has since expanded to 25 locations and 15 cupcake ATMs nationwide, and in fall 2016, Candace released her debut cookbook, The Sprinkles Baking Book, which subsequently hit The New York Times Best Seller list. Following Sprinkles’ success, Candace & Charles turned their attention to pizza, conceptualizing Pizzana with partners and friends Chris & Caroline O’Donnell. The neighborhood Neo-Neapolitan pizzeria opened in April 2017 with Candace overseeing direction for the restaurant's pastry program to complement the savory menu from Pizzana's Naples-born pizzaiolo. Signatures such as chocolate olive oil cake and salted caramel panna cotta find their roots in Italian flavors and ingredients, while still showcasing Candace’s affinity for crafting simple desserts refined through flawless execution. Pizzana since earned a spot on Los Angeles Times' food critic Jonathan Gold’s annual “101 Best Restaurants” list within its first year of opening. Internationally recognized for her prowess with pastry, Candace served as a judge on the Food Network show Cupcake Wars and has appeared on Good Morning America, Today, The Chew, The Talk, Nightline and in O, Vanity Fair, InStyle, and People magazines. Candace is also a dedicated philanthropist, an angel supporter of Baby2Baby, and a board member of LAXart. What are your favorite qualities in a man? Cannot narrow this down to save my life! Achieving something I’ve worked really hard for. Who is your favorite cupcake flavor? Sprinkles dark chocolate cupcake got me through both my pregnancies. I also love our banana flavor. Catherine Opie portraits of my two sons. Pizza! It’s my weakness and that’s why I opened Pizzana – I now have a constant supply! Candy corn at Halloween. They are so bad, but so good. What do you want our readers to know about you? I grew up in Southeast Asia and that’s what helped fuel my passion for classic American desserts. Nothing that’s worth doing is easy!